Steven Shapiro has four decades’ experience in South Florida’s heavily populated and ultra-competitive commercial and residential construction and development domains. Steven with partner and cousin Ronnie Pertnoy got their start in business working in their fathers’ men’s clothing stores. That early experience provided Steven the foundation of his career. The mantra “the customer is always right” and providing true value have brought countless clients back to Shapiro Pertnoy Companies again and again. This is the same philosophy that buoyed Steven when he headed a successful TV commercial production company during the 1970s. From those unlikely beginnings, Steven has amassed literally millions of square feet of leased, managed, owned, developed and constructed projects. Steven Shapiro is one of very few individuals who have found tremendous success in both the residential and commercial sectors. His project portfolio includes some of the finest commissioned luxury residential real estate in addition to retail, office and industrial projects. Steven Shapiro focuses his energy on the marketing, sales and administration of Shapiro Pertnoy Companies. Through his leadership, vision and attention to detail Shapiro Pertnoy Companies has evolved to become one of the region’s best known and most respected companies. Projects under Steven’s direct leadership have been recognized in innumerable publications including, Architectural Digest, Florida Design, and Arts & Antiques. Shapiro Pertnoy Companies’ projects have also received Best of the State, Aurora and Prism Awards, among others too numerous to name. Equally impressive is Steven’s commitment to giving back. Both he and his wife are longtime supporters of numerous charities including Crohn’s & Colitis Foundation (CCF), the University of Miami, Sylvester Cancer Clinic. Steven states, “I have been fortunate to do what I love. 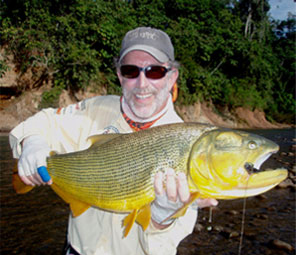 This hardly feels like work.” Steven’s hobbies include music, golf and fly fishing.